Andrea joined the Floor Covering Industry Foundation in October of 2016 as Executive Director and oversees grant programs, donor engagement, fund development, strategic marketing, and board relations. Previously, she had a 12-year career at United Way of Northwest Georgia where she expanded the organization's capacity by developing new philanthropic programs and volunteer initiatives. As the Director of Donor Engagement & Strategy, she headed up strategic marketing, donor relations, and leadership of marketing and fundraising staff and volunteers. She led the organization to reach $4M in annual contributions through payroll campaigns, major gifts, and corporate investments. In addition, her roles have included writing and implementing marketing plans, speech writing, donor database management, and design of printed, electronic, and social media, and corporate event planning. She has led sessions at United Way and Points of Light national conferences, as well as spoke to numerous local school groups about careers in non-profit organizations. She previously served as the Director of Community Engagement at United Way and oversaw organizational marketing, donor affinity groups, and volunteerism. She launched a full service Volunteer Center with hands on projects and an online platform for non-profits to post volunteer opportunities with which the public could connect. In 2012, she led the creation of the Women’s Leadership Council, which raises over $1M annually through leadership gifts of $1,000 or more. She coordinated large community days of service – mobilizing over 1,000 volunteers annually through corporate volunteer projects, national service holidays, and school projects. She led the formation of the Corporate Volunteer Council, created Volunteer Vacation – a youth service camp, and launched the partnership with Presidential Volunteer Service Award program. She also brought BOARDWALK to the greater Dalton community – a program that has trained over 250 volunteers to serve on non-profit boards of directors. In 2008, she wrote and administered a federal grant that placed over 150 AmeriCorps VISTA members in the local community over the next eight years who expanded the capacity of non-profits to recruit and train volunteers. As the New Business Development Coordinator she launched the Young Leadership Society in 2006, a giving circle for young professionals, which she led for the next 10 years. In her her first role at United Way, she served as a Loaned Executive, giving over 250 fundraising presentations to companies across the community. Blackbourn values continuing education and inspiring the next generation of non-profit professionals. 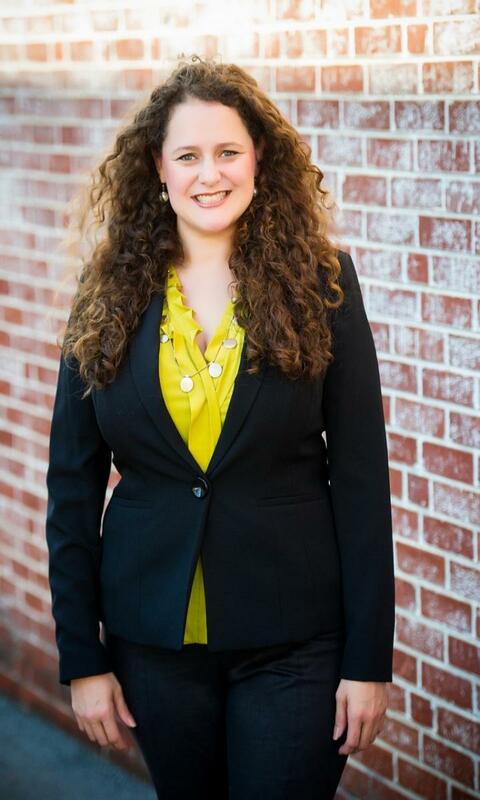 She is a graduate of the Greater Dalton Chamber of Commerce's Emerging Leaders Institute, Leadership Dalton-Whitfield, and Shaw Industries' Leaders for Life training program. She is a volunteer with Girl Scouts of Greater Atlanta, has taught Junior Achievement, and served on the board of the Lakeshore Community Garden. In addition, Blackbourn was recognized as one of the 20 under 40 by Dalton Magazine. She served on the Dalton State College Wright School of Business Advisory Council during their initial AACSB accreditation. She is a founding member and currently serves on the Steering Committee of Kennesaw State University's OWL (Outstanding Women Leaders) Circle. Blackbourn has a B.S in Marketing Systems from Dalton State College, where she was named Outstanding Marketing Student, and a Master’s of Business Administration from Kennesaw State University. A native resident of Rocky Face, Georgia, she lives with her daughter and her husband, Dr. Forrest Blackburn, who is an Assistant Professor of Spanish and Coordinator of the Honors Program at Dalton State College. They are members of Dalton First United Methodist Church.